Ever wondered how companies manage to juggle their products across multiple platforms like Amazon, Google and Facebook? 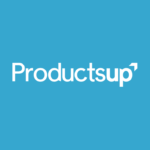 That’s where Productsup come to the rescue. Our role in the digital economy is to power the delivery of product content from the world’s biggest brands, manufacturers and retailers to wherever it needs to go. Productsup’s 100+ FeedFighters are based across 10+ offices around the world, spanning from our Berlin headquarters to Sydney with stopovers in London, Mexico City, Detroit and Singapore. No matter how widespread our hubs are, we are united by an inclusive and unique company culture which is key to our success. This is your chance to join a team with a big vision at the center of a changing world in commerce. Apply today! Want to put your sales career on the fast track with one of the hottest tech companies in Berlin?Are you a person that never gives up on your goals, is always able to convince and persuade others, and can even turn a no into a yes? Then this is the job for you! We are looking for a Business Development Representative (m/f/d), mainly responsible for the UK & US market. Have you got what it takes? We’d love to hear from you!